boleh la beli satu pulau ni kan? One tree, a few sheep, a 20 by 20 foot platform for pitching a tent, and a mooring in the cove. 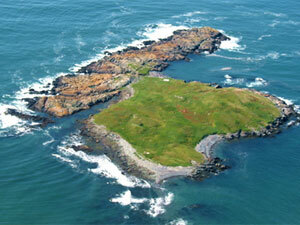 The rest is grass, rocks, and 360-degree views of the ocean and bay. The turquoise-colored roofs you see in the picture are open-air sitting areas with decks, chairs, and a campfire cooking area. 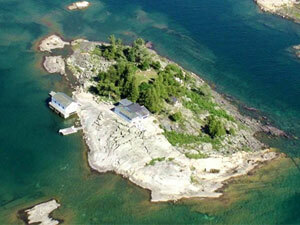 But the island also comes with a 38-foot houseboat, not pictured here, that sleeps 4-5 people. Great reefs nearby for snorkeling. All the seafood you can eat. A two-hour drive from Toronto, this island features a two-bedroom, two-bath cottage with a glassed-in porch overlooking the water, a separate guest cabin with bathroom, hot tub built into the rock outcropping, and a boathouse with deep water mooring. Running water, electric, a septic field. And it has wireless Internet access. So you could get away from it all, but still check your e-mail, Facebook, and Twitter accounts. There are 1,400 lakes in the Thousand Lakes region of upstate New York. 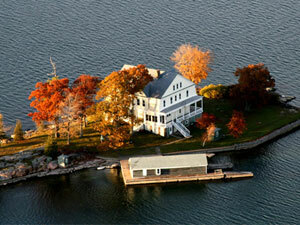 But few of them come with a 6,500-square-foot mansion -- ten bedrooms, four bathrooms, plus a boat house and dock. About an hour-and-a-half drive from either Syracuse or Montreal. 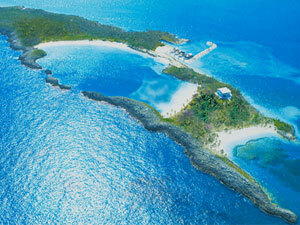 Notice the lagoon that separates the west side of the island from the east. On the west side sits a studio home and a guest cabana with an electric generator. The east side is undeveloped. 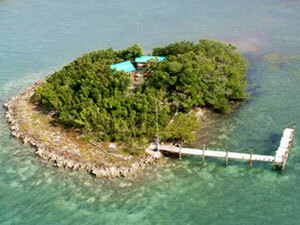 Marina and airstrip are a 15-minute boat ride away, on the main island of Abacos. 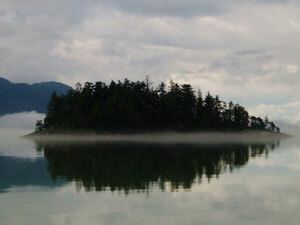 A 30-minute boat ride from the city of Vancouver, this island is up for sale to developers, with an approved subdvision plan. layyinul sudah ke entry bru pjaz..
x cukup la nk beli..
berminat ngan watch island tuh!! nak nak! kene cri suami kaye ni!